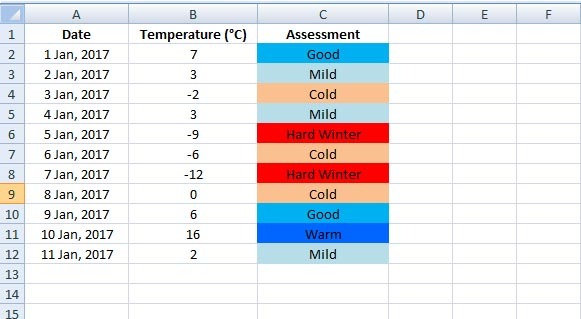 To meet multiple conditions in data or record, Excel offers the nested if function. We know, the IF function has three arguments – in case of nesting, you can replace one of the arguments with another function – it can be another IF function or SUM function or AVERAGE function and so on. It depends on the reqiurements of how you want to assess your data. Now copy it down the column. 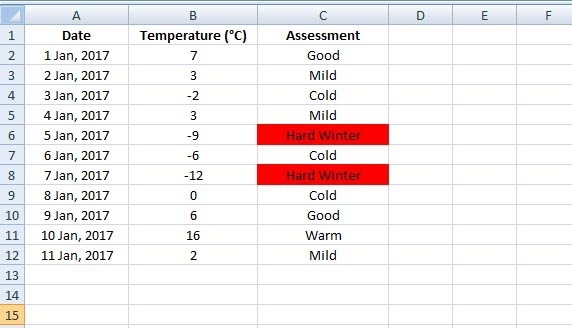 from the Format... below > select Red color > Click OK.
Now you will see that in Column C cells containing Hard Winter are marked with red. 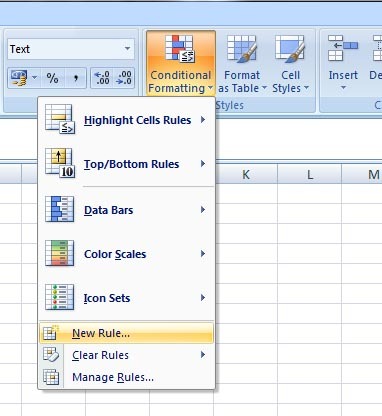 The Conditional Formatting Rules Manager window opens. Here you can see the first condition you just specified for Hard Winter. 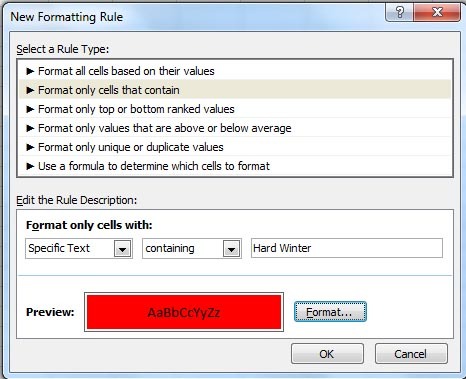 from the Format... below > select any color of your choice > click OK.
Repeat the same procedure from the Conditional Formatting Rules Manager dialog box : I mean, click again on New Rule..... and so on ….... you move on > click on OK. If you want to edit the colors or other options, either double click on any colorband or click on Edit Rule..., the Edit Formatting Rule window will open. You can always do editing anytime later. Do experiment with conditional formatting – it's fun and makes you easy-going with one of Excel's most useful tools.